iPhone, iPad, Mac & Me: I Goofed Putting Together The Element Case! I Goofed Putting Together The Element Case! If you were one of the lucky (or unlucky) people to see my final video on the Element Case: Liquid Edition on Tuesday, you heard me talk about how some USB cords could not be used with the case. Well, it turns out that I put on the bezel on BACKWARDS! When I turned it around ,everything now fits like a glove! 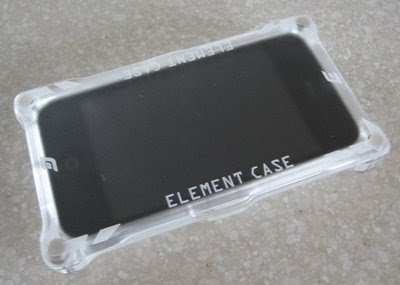 I'm really glad because I wouldn't think Element Case would miss something like that! For my idiocy, I'm out $20 since I bought an extra USB cord. My deepest apologies to Mark and everyone at Element Case.